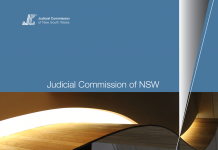 The Judicial Commission of New South Wales last undertook an analysis of conviction and sentence appeals in the CCA in 1998.6 That study covered the period 1990 to 1996, and looked at the trends in appeals. Specifically, the number and kinds of appeals were considered, along with the type of offences involved in the appeals and the success rates of those appeals. The outcomes of conviction appeals were also discussed. 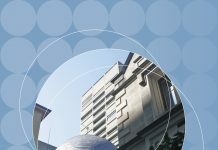 This issue of Sentencing Trends examines trends in appeals to the CCA for the period 1996 to 2000, inclusive. In this paper, the term “appeal” should be taken to include applications for leave to appeal. This study is restricted to a consideration of appeals to the CCA against conviction and/or sentence15 involving the “principal offence.” The “principal offence” is the offence attracting the harshest penalty in the group of offences for which an offender has been convicted. If more than one type of offence attracts the same penalty, then the first mentioned offence is selected as the principal offence. The results are based on data held within the Judicial Commission’s database, which account for approximately 95% of all conviction and/or sentence appeals heard in the CCA between 1996 and 2000. According to the Supreme Court Annual Reviews from 1996 to 2000, there were 2,213 appeals heard against sentence and/or conviction. The Judicial Commission’s database contains 2,103 appeals relating to conviction and/or sentence for the same period.16 By dividing the number of appeals into the number of first instance cases proven and finalised in the higher courts,17 it is possible to calculate the proportion of cases that were appealed. For the period 1996 to 2000, the figure worked out to be 14.6%18 or approximately one out of seven first instance cases were the subject of an appeal to the CCA. A number of different type of appeals, or combination of appeals, were included in this study, and are listed in Table 1. It should be noted that, in addition to a single appeal against conviction or severity of sentence, or Crown appeals against the inadequacy of sentence, there are a number of combinations of these basic appeal types. (a) Includes 48 cases involving: Land and Environment Court (2), Drug Court (5), Local Court (1), life re-determinations (14), breach of CSO (2), breach recog/bond (4), Periodic Detention cancellations (20). (b) Includes 5 cases from the Land and Environment Court. (c) Includes 3 cases involving breach of CSO (1), breach of recog(1), Land and Environment Court (EPA appeal) (1). (d) Includes 2 cases from the Land and Environment Court. (e) Includes 1 case from the Land and Environment Court (EPA appeal). There were 233 cases where there was an overlap of appeals against conviction and severity of sentence (Figure 1). In these cases, an appeal against sentence was only considered if the conviction appeal was dismissed, as a successful conviction appeal would vitiate the sentence.19 In this study, 35 appeals against conviction were upheld, leaving 198 cases where the conviction appeal was dismissed, but the sentence appeal was heard. There were 12 cases which involved both a conviction appeal and a Crown appeal. In ten of those cases the Crown appeal against the inadequacy of sentence was heard following the unsuccessful appeal by the appellants to have their conviction overturned.20 In the two other cases21 the appellants had their conviction appeals upheld. In four cases both the appellant and the Crown appealed against sentence. The Crown appeal was upheld in two cases,22 which left two cases23 to be determined on severity. 1,314 appeals against sentence severity (sentence only (1,114) + conviction & sentence where conviction dismissed (198) + Crown and sentence where Crown appeal dismissed (2)). 283 Crown appeals against inadequacy of sentence (Crown (269) + conviction & Crown where conviction dismissed (10) + Crown & sentence (4)). Figure 2 shows the number of appeals dealt with each year by the CCA by the type of appeal. In 1996 there were 488 appeals. This number fell to 389 in 1998, before a steady increase in appeals saw the number rise to 443 in 1999, followed by another increase between 1999 and 2000, which took the number of appeals to 555. Although there was a slight increase in the number of conviction appeals between 1998 and 2000, there was a dramatic increase in the number of sentence appeals (both severity and Crown appeals). Figure 2 also shows that appeals against the severity of sentence were the most common type of appeal, accounting for more than half (56.8%) of the appeals during the study period. Approximately three of every ten (31.0%) appeals concerned appeals against conviction. Crown appeals against the inadequacy of sentence accounted for approximately one of every eight (12.2%) appeal cases.24 There was a noticeable increase in the number and proportion of appeals brought by the Crown in 2000 (84 or 15.1%), which are the highest for the period covered by the study. Figure 3 presents the major offence categories involved in appeals to the CCA between 1996 and 2000 for CCA and higher court. It also compares the distribution of offence types25 that were proven in the higher courts over the same period. Figure 3 clearly shows that certain types of offences have a much higher rate of appeal than others in the CCA. For example, while homicide offences accounted for only 2.4% of cases at first instance, they accounted for 7.5% of cases in the CCA. Likewise, sexual assault offences accounted for a greater proportion of cases in the CCA, 19.4%, compared with 12.4% in the higher courts, as did illicit drug offences, 22.1% in CCA compared with 18.2% at first instance. The over-representation of these offences in the CCA may be due to the fact that these types of offences attract the harshest penalties and tend to have the highest associated statutory maximum penalties. Interestingly, while robbery offences represented 22.0% of overall matters in the higher courts, they only represented 16.6% of matters in the CCA. Deception offences and culpable/dangerous driving offences were only slightly more common in the CCA than they were in the first instance higher courts. Of the 2,313 appeal cases26 under study, the most common offence categories subject to appeal were, in order, illicit drugs (21.4%), sexual assault (19.5%) and robbery (15.8%). A comparison of these results with Figure 3shows very little difference when these offence categories are examined by CCA and higher court jurisdictions, which include fewer cases, as explained in footnote 18. Figure 4 shows that there were some notable differences in the distribution of offences, depending on the nature of the appeal. For example, one offence which stood out in respect of conviction appeals, relative to sentence severity and Crown appeals, was sexual assault offences, which represented over one-third (34.5%) of all conviction appeals (compared with 12.9% of sentence severity appeals and 12.4% of Crown appeals). Homicide is another category of offence that is more likely to be related to a conviction appeal than to other types of appeals (12.4% compared with 7.5% of sentence severity appeals and 4.6% of Crown appeals). In respect of sentence appeals, irrespective of whether it was an appeal against severity or a Crown appeal against inadequacy of sentence, the most common offences in these types of appeals were drug offences, robbery offences, sexual assault offences, assault/wounding offences and deception offences. A Crown appeal was more likely in culpable/dangerous driving offences (9.5%, compared with 3.3% of sentence severity appeals and 1.4% of conviction appeals), while a sentence severity appeal was more likely for breaking and entering offences (7.9%, compared with 3.5% of Crown appeals and 1.1% of conviction appeals). 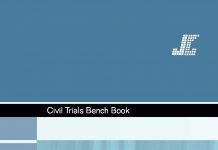 Note: CCA cases in Figure 3 are based on 2,044 appeals filed with the CCA in the study period. Refer to footnote 18. 1. Figure 4 is based on the 2,313 appeals dealt with by the CCA. 2. Percentages in brackets refer to the proportion of cases overall dealt with by the CCA by offence category. An analysis of conviction appeals shows (Figure 4) that the top four offence categories were sexual assault (34.5%), followed by illicit drug offences (17.9%), homicide (12.4%) and robbery (10.6%). These four offence categories accounted for approximately three-quarters (75.4%) of all conviction appeals in the study period. Figure 5 displays the relative frequency with which the CCA dealt with conviction appeals between 1996 and 2000. The proportion of conviction appeals involving sexual assault showed very little variation over the five-year study period, with only a slight increase from 32.7% in 1996 to 36.7% in 2000. However, conviction appeals involving homicide more than doubled in the same period from 7.8% in 1996 to 16.3% in 2000. Interestingly, while conviction appeals involving illicit drug offences fell from 26.1% in 1996 to 13.9% in 2000, this was not a consistent pattern over the five years, as the numbers rose and fell from year to year. A similar pattern was evident with conviction appeals for robbery, where the numbers increased from 7.2% in 1996 to 17.8% in 1999, before falling to 11.4% in 2000. An examination of appeals against the severity of sentence (Figure 4) shows that three offence categories – illicit drugs (22.8%), robbery offences (17.8%), and sexual assault (12.9%) – represented over half (53.5%) of all appeals against the severity of sentence. Figure 6 shows the relative frequency with which the CCA dealt with these offences during the study period. The proportion of appeals against severity of sentence involving sexual assault offences declined from 16.1% in 1996 to a low of 10.5% in 2000, as did appeals related to illicit drugs, where the figures fell from 25.7% in 1996 to 22.0% in 2000. Conversely, appeals against the severity of sentence involving robbery have increased markedly, from 12.0% in 1996 to almost double that figure, 23.6%, in 2000, making robbery the most common offence involved in sentence severity appeals in 2000. One possible explanation for the variation in the figures for illicit drug and robbery offences may relate to the guideline judgments relevant to these offences handed down in 1999.27 The Judicial Commission of New South Wales will be conducting research in the near future to measure what, if any, has been the impact of the guideline judgments for these two offence categories. Noting the caveat on Crown appeals mentioned earlier,28 Figure 4 shows that the four most common offence categories that were the subject of a Crown appeal in the study period, were: illicit drugs (24.0%), robbery (19.4%), sexual assault (12.4%) and assault/wounding (11.0%). In total, these four offence categories represented approximately two-thirds (66.8%) of all Crown appeals. When these four offence categories were examined over time (Figure 7), it was found that there was an increase in Crown appeals against the inadequacy of sentence for illicit drug offences, where the relative frequency of appeals almost doubled from 18.6% in 1996 to 32.1% in 2000. Similarly, Crown appeals involving robbery offences increased markedly, up from 9.3% in 1996 to more than double that figure, 22.6%, in 2000. Conversely, Crown appeals involving two other offence categories showed a sharp decrease: sexual assault fell from 23.3% in 1996 to 8.3% in 2000 and assault with wounding declined from 25.6% in 1996 to 7.1% in 2000. It should be noted, however, that these two offence categories show quite pronounced fluctuations over the study period. Of the 2,313 appeal cases29 under study, 909 (39.3%) were successful. Crown appeals had the greatest level of success, with almost six out of ten (59.7%) of such appeals being upheld. The likely explanation for this is the policy of the Crown not to appeal, particularly against sentence, unless it considers it has a strong case and is likely to succeed. Conviction appeals were upheld in around four out of ten cases (39.2%) and the success rate for severity appeals was around one in three cases (34.9%). Figure 8 shows that, over the study period, the proportion of successful Crown appeals declined, while the success rate of conviction appeals fluctuated. The success rate of sentence severity appeals rose. The trend line of success for conviction appeals was erratic over the five-year period. In 1996, 36.6% of conviction appeals were upheld. This figure fell slightly to 31.5% in 1997, before rising sharply in 1998 to 43.5%, and continuing to rise in 1999 to 45.7% before falling to 39.2% in 2000, which coincides with the average over the study period. On the other hand, the success rate of Crown appeals declined steadily from 67.9% in 1997 to 59.6% in 1999, before a further accelerated decline to 50.0% in 2000. This reduction in the success rate in 2000 coincides with the larger number of Crown appeals in that year. Sentence severity appeals fell slightly, from 32.2% in 1996 to 27.4% in 1997, before commencing an upward trend to 41.0% in 2000. Within conviction appeals, the offence categories which had the most success were: culpable/dangerous driving (50.0%), break, enter and steal (50.0%), sexual assault (48.6%) and assault/wound (46.2%). The least successful offence categories within conviction appeals were theft (6.3%) and offences against justice procedures (9.1%) (Table 2). Of the 281 successful conviction appeals, 163 (58.0%) resulted in an order for a new trial and 118 (42.0%) resulted in an acquittal. An examination of the successful outcomes of conviction appeals by offence type reveals that an order for a new trial was most likely when the offence involved was homicide (81.0%), break and enter (75%),30 or assault/wounding (70.8%). An acquittal was most likely when the offence involved was culpable/dangerous driving (60.0%),31 deception offences (54.5%) or sexual assault (48.3%) (Table 3). An examination of appeals against the severity of sentence reveals that the most successful offence categories within this group were against justice procedures (47.7%), theft (45.3%) and illicit drugs (43.0%). No offence category stood out as being the least successful in this appeal category (Table 2). Of the 459 successful severity appeals, 94.6% resulted in a new sentence being imposed by the CCA. The most common outcome for the remaining 25 cases (5.4%) was an order remitting them to the sentencing court for re-sentence, or restructuring of the original sentence to take into account time served in custody. Crown appeals against the inadequacy of sentence show a different pattern when the offence category is considered. Here culpable/dangerous driving (77.8%) and break and enter (70.0%) had the highest success rate. Theft (66.7%),32 sexual assault (65.7%) and assault/wounding (64.5%) were other offence categories where a Crown appeal was more likely to succeed (Table 2). Of the 169 successful Crown appeals, 96.4% resulted in the CCA handing down a new sentence. The remaining six cases (3.6%) were remitted to the sentencing court for re-sentencing (four cases) or restructuring of sentence for time served in custody (two cases). Analysis of the success of appeals by offence category over the study period was difficult, owing to the low numbers contained in some offence categories. Caution should therefore be exercised when drawing inferences fromTable 2 and Table 3. Overall, the most common offences categories involved in appeals to the CCA were illicit drug (21.4%), sexual assault (19.5%) and robbery (15.8%) offences. These three offence categories accounted for more than half (56.7%) of all appeals to the CCA. Conviction appeals accounted for 31.0% of all appeals heard by the CCA. Approximately four out of ten (39.2%) conviction appeals were upheld. Of all conviction appeals, over one-third (34.5%) involved sexual assault offences. This offence category, as well as homicide offences (12.4%), accounted for a greater proportion of conviction appeals, compared to severity and Crown appeals. The offence categories most likely to be associated with a successful conviction appeal were culpable/dangerous driving and break and enter offences (both 50.0%), followed by sexual assault (48.6%) and assault/wounding (46.2%). Of the successful conviction appeals, 58.0% resulted in an order for a new trial, and 42.0% resulted in an acquittal. Sentence severity appeals were the most common type of appeal (56.8%) heard in the CCA. Illicit drug (22.8%) and robbery (17.8%) offences were common offence categories associated with sentence severity appeals. Just over one-third (34.9%) of sentence severity appeals were successful, but these have been increasing steadily since 1997, from 27.4% to 41.0% in 2000. The most likely offence categories involved in successful sentence severity appeals were offences against justice procedures and good order (47.7%), followed by theft (45.3%) and illicit drugs (43.0%). Overall, Crown appeals accounted for 12.2% of appeals in the CCA during the study period. Like severity appeals, the offences most often associated with Crown appeals were illicit drug (24.0%) and robbery (19.4%) offences. Crown appeals were the most likely type of appeal to succeed (59.7%) in the CCA. However, their success rate has been steadily declining since 1997, from 67.9% to 50.0% in 2000. Culpable/dangerous driving (77.8%) and break and enter (70.0%) offences had the highest success rate in Crown appeals. 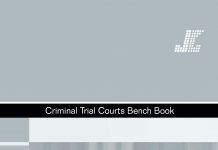 This study has provided an overview of the various types of appeals and the frequency with which they are brought to the CCA, the offence categories involved in these appeals and their success rate. 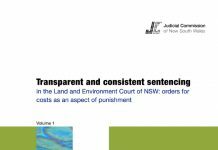 Future research by the Judicial Commission relating to guideline judgments should provide a deeper understanding of the way they have impacted on sentencing in New South Wales. 1 Annual Review 1999, Supreme Court of New South Wales, p 44. 2 Annual Review 2000, Supreme Court of New South Wales, p 47. 3 Section 6, Criminal Appeal Act 1912 (NSW). 4 Section 3, Criminal Appeal Act 1912 (NSW). 5 Section 6AA (2), Criminal Appeal Act 1912 (NSW). 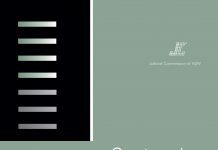 6 J Hickey “An Overview of Sentence and Conviction Appeals in the NSW Court of Criminal Appeal” (1998) 16 Sentencing Trends 16. 7 Annual Review 1997, New South Wales Supreme Court, p 34. 8 Annual Review 1998, New South Wales Supreme Court, p 42 – 43. 9 See note 2, p 50. 10 Section 52A, Crimes Act 1900 (NSW); R v Jurisic (1998) 45 NSWLR 209. 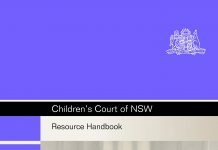 11 Section 97, Crimes Act 1900 (NSW); R v Henry (1999) 46 NSWLR 346. 12 Section 112 (1), Crimes Act 1900 (NSW); Attorney General’s Application (No 1), R v Ponfield (1999) NSWLR 327. 13 Section 233B Customs Act 1914 (Cth); R v Wong and Leung (1999) 48 NSWLR 340. 14 R v Thomson; R v Houlton (2000) 29 NSWLR 383. 15 In this study other types of appeals heard by the CCA – for example, regarding a point of law in a stated case, against quashing an indictment and against interlocutory orders – were excluded. 16 It is unclear how the Supreme Court records and counts multiple appellants on a single appeal application. 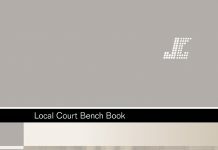 The Judicial Commission’s database creates a record for each appellant and this has the effect of slightly overstating the number of appeals when compared with the numbers recorded by the Supreme Court. Further, some matters may not have been included in the Commission’s data, as the physical files relating to them may have been in a different physical location at the time the trial court data was processed. In other words, information relating to such cases was never received by the Commission. 17 Supreme Court and District Court of New South Wales. 18 The figure of 14.6 % was arrived at by comparing, for the period 1996-2000, the number of cases dealt with in the higher courts (N=13,980) with the number of appeals before the CCA resulting from a first instance decision in a higher court (N=2,044). This figure of 14.6% was derived without including cases from the Land and Environment Court, Drug Court, Local Court, life re-determinations and appeals that resulted from re-sentencing for a breach of a first instance penalty (for example, a CSO, recognizance/bond, and PDO). It should be noted that an appeal case in a given year does not necessarily correspond to the year the matter was heard at first instance. 19 A search of the Judicial Commission database (Judicial Information Research System (JIRS)) will provide a list of conviction and sentence appeals. 20 R v Kovacs (2000) 111 A Crim R 375; R v Toro-Martinez (2000) 114 A Crim R 533; R v Rich  NSWCCA 448; R v Short  NSWCCA 462; R v Pimental (1999) 110 A Crim R 30; R v Luu (unreported, 12 October 1998); R v Lethlean (unreported, 19 December 1997, NSWCCA); R v Balakrishnan (unreported, 8 March 1996, NSWCCA); R v Aala (unreported, 30 May 1996, NSWCCA); ADI Ltd v EPA; EPA v ADI Ltd (2001) 118 A Crim R 335. 21 R v Hannes  NSWCCA 503; R v Jimenez  NSWCCA 390. 22 R v Church (unreported, 6 November 1998, NSWCCA); R v Radburn (unreported, 23 February 1996, NSWCCA). 23 R v Readon (unreported, 19 August 1996, NSWCCA); R v Hamman (unreported, 1 December 1998, NSWCCA). 24 The High Court has stated that Crown appeals should be limited to the rare and exceptional case which involves a substantial matter of principle and which can provide guidance to sentencing courts: Griffiths v The Queen(1977) 137 CLR 293 at CLR 309-310 per Barwick CJ; affirmed by the High Court in Everett v The Queen (1994) 181 CLR 295. Crown appeals against sentence are relatively infrequent because of the element of double jeopardy involved: R v Allpass year 73 A Crim R 561; see also Griffiths v The Queen (1976-77) 137 CLR 293 at 310; Malvaso v The Queen (1989) 168 CLR 227 at 234; R v Dodd (1991) 56 A Crim R 451; Environment Protection Authority v Australian Iron & Steel Pty Ltd (1992) 28 NSWLR 502). 25 Offence types were classified according to the broad categories (for example, see Figure 4) set out in: Australian Standard Offence Classification (ASOC), 1997, Australian Bureau of Statistics (Catalogue No. 1234.0). Higher court matters were based on the “principal offence,” as determined in the Supreme Court and District Court at first instance. 26 These cases are representative of all three primary categories of appeals, without any exclusions. 27 Section 97, Crimes Act 1900 (NSW): Henry Barber Tran Silver Tsoukatos Kyroglou Jenkins (1999) 46 NSWLR 346. Section 233B, Customs Act 1914 (Cth): Wong (Nelson) & Leung (Jackie) (1999) 48 NSWLR 340. 30 Note the small numbers for this offence – only three out of four cases. 31 Note the small numbers for this offence – only three out of five cases. 32 Note the small numbers for this offence – only two out of three cases.